The collection had more prints than this but I always love anything gorgeously draped. Lots of loose silhouettes at DvF. 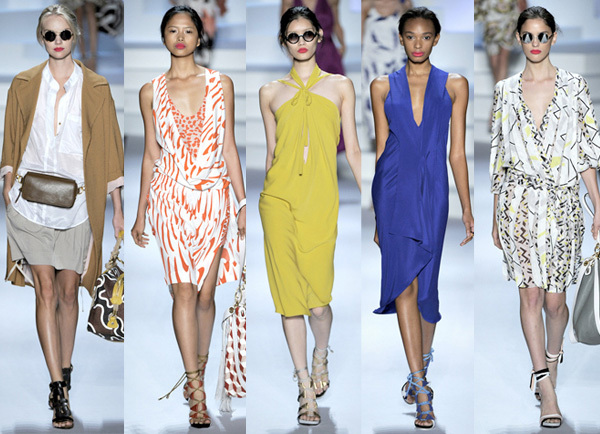 From the Diane von Furstenberg Spring 2011 collection. See all the looks on style.com.